On the day after Thanksgiving, the title seems appropriate. But, it’s not at all what we’re talking about here. It’s about what we fear. Think about it for a second. In my last blog I wrote about the advantages of stepping out in bravery and faith. I’m in an interesting place right now, as I’m seeing the invigoration and uncertainty of doing just that, and it occurs to me that the victory of embracing your inner Gunga Din comes not with huge amounts of direct fear, but with this peripheral angst that is hard to put one’s finger on. Stepping out comes with fear of course. That’s why so many are content to live with jobs and careers marked by silent desperation. There’s no doubt I can tell you that going your own way is uncomfortable. But, standing in quicksand and headed down feels a lot worse. Lets just look at the physics of change for a moment. The law of inertia is absolute. Like it or not, you are always moving in one direction or another, and as you keep moving in that direction you build a momentum that gets harder and harder to change. To complicate things even more is the law of Entropy. Don't ask me. It's a 3D explanation of Inertia. If you stare at it long enough it makes sense. That physical law states that everything is in a constant state of decay and organization naturally deteriorates over time. 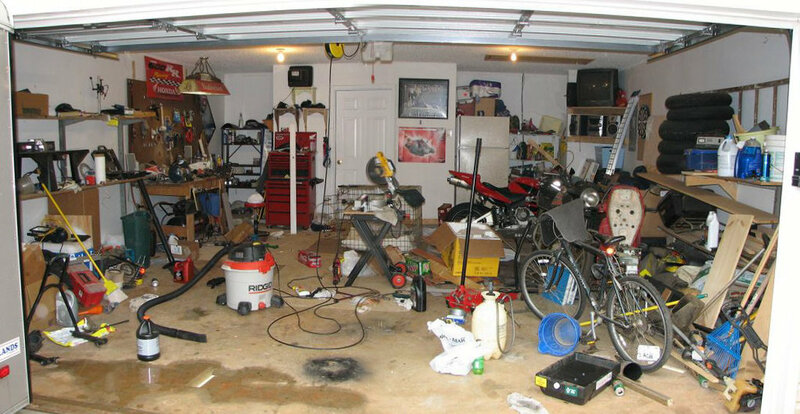 If you don’t believe me go look at the inside of your garage. So Steve, what other good news do you have here? Well, actually there is good news. You can CHANGE the direction you’re headed in, by BEGINNING to move in a different direction. You can’t change everything immediately. 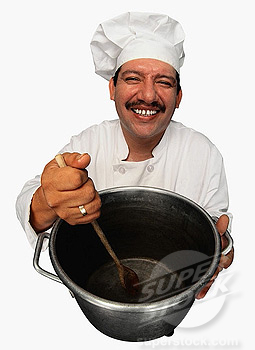 But, by just stirring the pot you can make that first step. See, we’re all cogent, intelligent beings (well most of us anyway.) The beauty is as such we can work with the physical laws of the universe as opposed to just being affected by them. It’s interesting how we always use the word inertia in the negative and use the word momentum when we speak in the positive. Well, it’s the same thing, the only difference is that inertia is an actual physical law and momentum is just a byproduct of that. I’m suggesting that we take the actual physical law and use it. Don’t wait for some half baked New Years resolution that you’re going to come up with at 5 o’clock on December 31st while looking up kick off time for the Rose Bowl. Take a moment today to take stock of the decay in your life and hit reset. Then, drop the fear and start stirring the pot NOW. Begin to change direction by at least thinking about how to mitigate the negative inertia and decay in your life. There’s never a better time than now and there’s never a better step than the first one. And while your at it, clean the garage. I have a tattoo on my right bicep. 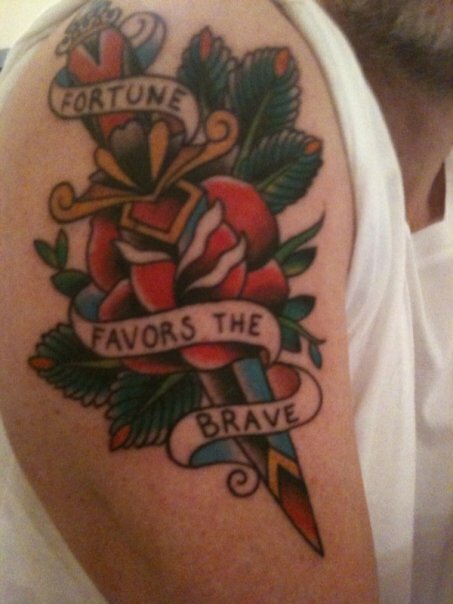 It’s of a dagger with a banner that says “Fortune Favors The Brave.” Mighty words, and a thought that I need to keep reminding myself of. So much so, that I decided to have it permanently printed on my body. It’s been a crazy week and a half. I simultaneously closed a business and opened a new one. It’s all for the best and the future looks bright, but a bold move and a tumultuous one to say the least. I tossed and turned on my decision for months, so much so that several mornings I awoke with the elastic corner of the fitted sheet over my head. But, here’s a thought: make sure you’ve packed your own parachute. By that I mean, bold moves are one thing. Hasty, not quite fully thought out moves are quite another. If you were to let someone else pack your parachute, not only would you be jumping for the wrong reasons, when you pull the rip chord, all that might come out is confetti. Making solid decisions is a process of receiving information, considering it, putting it up against context and history, and then using that information to make assumptions about the future. Could you make a mistake? Of course. We see evidence of that everyday in everything from businesses going under to the ridiculousness we call our political system. Figuring out how to be brave enough to affect radical change in your life when needed is what we’re really talking about here, and I’m not the benchmark by any stretch. I delayed and delayed my decision until disaster was poking its head over the horizon. Far enough away to keep going on the path for a while, but knowing that doing so didn’t really benefit either myself or anyone else on the path with me. I’m beginning to think that our natural resistance to change is nothing but fear of our own mortality. If nothing ever changes, then maybe we won’t ever die. Well, the only thing that never changes is the fact that one day we will die. It’s time to embrace change, for doing so is to embrace progress. Bravery is to confront the unknown and to challenge your status quo. So here’s my advice: consider, reconsider, jump. Just make sure it was you who packed the chute.